According to Sigmund Freud, personality is split into three elements known as the id, ego, and superego. Let's say that you're on a diet, and you are going out to eat with friends. You have to decide between ordering a bacon cheddar burger, which sounds really good, or sticking to your diet and ordering a salad. 2. Let's say that you have a test tomorrow in one of your classes. You really need to study but your favorite show, The Bachelor, is on tonight. 3. Timmy was coloring in a coloring book when his friend, Miguel, took the marker away from him. Id: yell at Miguel and say "give that back you meanie!!" This video demonstrates how the id, ego, and superego come into play in a real life situation. 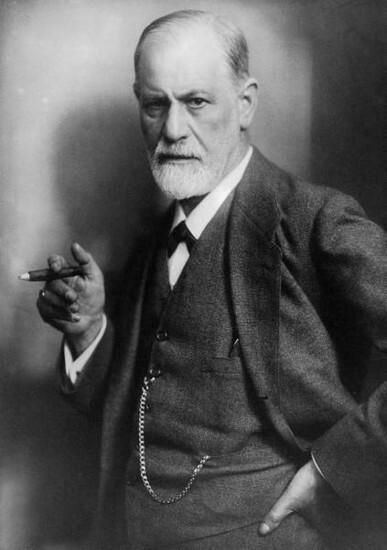 "10 Things You May Not Know About Sigmund Freud." History.com. A&E Television Networks, 23 Sept. 2014. Web. 10 Mar. 2015. Cherry, Kendra. "Id, Ego, and Superego: Freud's 3 Parts of Personality." N.p., n.d. Web. 19 Feb. 2015. "Internet Encyclopedia of Philosophy." Internet Encyclopedia of Philosophy. N.p., n.d. Web. 10 Mar. 2015. "Who’s Afraid of Sigmund Freud?" Public Seminar RSS. N.p., n.d. Web. 10 Mar. 2015.